Bonhoeffer: Advent Is Like a Prison Cell: In the midst of Nazi resistance, this Christian martyr offered three models for the season of waiting. On November 21, 1943, Dietrich Bonhoeffer wrote a letter from Tegel Prison. “A prison cell like this is a good analogy for Advent,” he said. “One waits, hopes, does this or that—ultimately negligible things—the door is locked and can only be opened from the outside.” The comparison between Advent and a prison cell may seem strange. It evokes powerlessness, perhaps even hopelessness. However, it is this particular type of waiting that Bonhoeffer believes best prepares us for Christ’s coming. Although a Nazi prison gave him this metaphor, the sermons he wrote during his time of active ministry also present a similar vision of Advent waiting. In these sermons, Bonhoeffer sees the season before Christmas as a sharpened liturgical expression of the tension that informs our entire lives as Christians. Celebrating it prepares us to live as people who have made a radical break with the present world of sin and death and are also preparing for the redeemed future that God has already, in one sense, accomplished. Through Advent, we learn how to live in these two concurrent realities: We have already been delivered, and yet our deliverance is still to come. Bonhoeffer’s Christmas and Advent sermons highlight three figures who exemplify life amid this tension and, by their example, might guide us through this season. Learning how to wait from these figures will not be warm and cozy but deep, dangerous, and shot through with sorrow and pain. The second figure is Joseph. Like Moses, Joseph, in one sense, has seen the fulfillment of God’s promise. He trusts God and takes pregnant Mary as his wife. In response, God promises him the impossible: that Mary is “with child by the Holy Spirit” and the son she carries “will save his people from their sins” (Matt. 1:21). The child’s birth is accompanied by angels. However, despite the arrival of the promised Savior, the angel then commands Joseph to run back to Egypt, the land of his people’s slavery. So Joseph waits in Egypt. Even when God tells him to return, he doesn’t send him to Jerusalem, the land of promise, but rather to the most insignificant place in Judea—the town of Nazareth. As Bonhoeffer writes, “It was for Joseph as for all the world incomprehensible that the little-regarded Nazareth should be the destination for the savior of the world.” Joseph’s entire life is marked by waiting, and it’s through his faithful waiting that God’s promises are more completely fulfilled. In coming out of Egypt, Jesus incorporates the liberation of God’s people into his own life and his own ultimate salvific rescue of all God’s people. Through his life among the poor, humble, and obscure in Nazareth, Jesus lives the life of all those who are humble and obscure, the life of all those, like his human father, who wait without ever knowing that God’s consummation comes. The third figure is Mary. Bonhoeffer describes her as the person who “knows better than anyone what it means to wait for Christ.” As an individual, “she experiences in her own body that God does wonderful things with the children of men, that his ways are not our ways, that he cannot be predicted by men, or circumscribed by their reasons or ideas.” In this sense, she literally embodies a key theological tension: Pregnant with the Savior, she waits for his radical arrival but simultaneously feels deep within her own body how God’s promise has already been fulfilled. Mary also exemplifies the corporate waiting of the church for the redemption of the people of God and the restoration of all of creation. In the Magnificat, she describes how the baby she bears will accomplish the overthrow of all systems of oppressive powers, the mighty taken down from their thrones and the poor and forgotten vindicated. Mary spends her life anticipating this redemptive conclusion. She waits through pregnancy, through Christ’s ministry, through the crucifixion, until Pentecost. Even after Pentecost, she still waits in the house of the apostle John, knowing that the culmination she foresaw—where all creation is made new—has yet to come. These three “Advent” figures raise hard questions about the state of our hearts as we approach the season. First, we have to acknowledge the radical break of Christ’s coming while also waiting within the “now.” However, we’re not free to bring about the completion of God’s promise on our own willpower or on our own timeline. In fact, we’re not even free to wait properly. Christ “is coming to rescue us from the prisons of our existence, from anxiety, from guilt, and from loneliness,” writes Bonhoeffer, but to be ready for this rescue, we first have to see how fully we are enslaved. (Here, his prison analogy returns to mind.) Advent, therefore, is defined by a double movement: first, knowing that we are still enslaved, and second, knowing that Christ has already set us free. Secondly, whom are we waiting for? Jesus comes at Christmas as a child, but at the end of time, he comes in terror and might to dispense judgment. From Moses, we learn that Advent requires us to die first before we can be reborn. Accordingly, we can only welcome the child and come under his reign once we have accepted God’s judgment and, in a way, our own deaths. However, as we wait for judgment, we are also secure in the knowledge that we’re already taken up into God’s peace. We always see ourselves both “in the moment” and in Christ’s eschatological horizon. At Advent, then, it’s important to remember what it means to wait for a child, not just a King. When we consider this second double movement of Advent—the coming of the Lord in judgment and the coming of the child Jesus—we realize that God demands more than we could ever imagine or accomplish. We also realize that, by becoming one of us in the Incarnation, Christ has already accomplished all. ***Advent is a season to pay attention to how God showed up 2000 years, how God keeps showing up today, and to hope with expectation for the day when God will show up and make all things right and bring His Kingdom to completion…the death of death, the final victory over sin and evil, true peace and eternal prosperity; to have our faith strengthened, to receive and share the love of God in Jesus Christ and to have our hope restored in God’s coming future; to being open to interruption, disruption and redirection of our lives. ***Advent/Christmas Expectations…We have high expectations and make high demands of Advent/Christmas. We want everything to be perfect. But often it is not that way. For many it will be a very difficult time because something has interrupted the joy. It may be sickness, or death, or divorce, or loneliness. We look to the Advent/Christmas season to be a time of perfect peace, harmony, and joy. But the first Christmas was not that way. It was an interruption. Interruptions can happen at any time. a. The Angel of the Lord’s (Gabriel) Appearance to The Shepherds…the glory (light) shined around them…The Shepherds were terrified! d. The Angels left The Shepherds in the fields and returned to Heaven. a. The Decision to Go and See: “Let’s Go to Bethlehem and see this thing that has happened which the Lord has told us about. So they “hurried off” and “found” Mary, Joseph and the Baby, who was lying in the manger. ***BUT, MARY PONDERED/TREASURED UP ALL THESE THINGS IN HER HEART! c. The Decision to Return to their Work in The Fields of Bethlehem: They returned, glorifying and praise God for ALL the things they had “heard and seen” which was exactly like what they had been told. Question: How do we respond to life’s small and large interruptions/disruptions? Proverbs 3:5-6: "Trust in the LORD with all your heart, and do not rely on your own understanding; think about Him in all your ways, and He will guide you on the right paths"
Pray. Seek God’s Perspective. Remember God is sovereign and is still working ALL things for good in your life. Through life’s interruptions and disruptions, God may be redirecting your life to something great! Remember the words of the Angel Gabriel spoken to Mary…Nothing is Impossible with God! *God interrupts in our daily lives and routines and work…getting our attention. *The Gospel of Advent/Christmas is summarized in The Angels’ Message to the Shepherds. 2nd Sunday of Advent: Reflections from a Presbyterian Pastor---The Lives of Zechariah and Elizabeth Interrupted! I. Introducing Zechariah and Elizabeth (Luke 1:5-7)…Zechariah is a priest and Elizabeth is a descendant of Aaron the High Priest of Israel in Moses’ time. Both are “righteous” in the eyes of God but were childless and of old age. II. Zechariah’s and Elizabeth’s Life Interrupted (Luke 1:7-25; 39-80). A. Zechariah was on duty in the Temple in Jerusalem, responsible for incense. B. Worshipers at the Temple were outside praying. C. Gabriel, The Angel of the Lord, appeared/interrupted Zechariah with a message about the impending birth of a son whose name will be John (the Baptist)…read vv.13-17. E. Gabriel’s Response…I stand in the presence of God and have been sent to speak to you and to tell you this good news, BUT you will not be able to speak until the birth of you son which will come true at the appointed time, BECAUSE you did not believe my words...Zechariah's voice and ability to speak interrupted! ***People were waiting for Zechariah to come out, but when he did come out he could not speak as they realized he had a vision and was “speaking” with signs. *** Zechariah returned home. Elizabeth became pregnant and remained in seclusion for 5 months. Elizabeth: “The Lord has done this form me and has shown his favor towards me and removed my “disgrace” among the people. F. Elizabeth’s Pregnancy is interrupted by the Arrival of Mary, her relative, with similar and surprising news of a pregnancy (read Luke 1:39-45, 56). Mary stayed for 3 months, until John’s birth. G. The Birth of John…neighbors and family believed that God had shown great mercy and they shared the joy…The Naming of John, almost Zechariah after his father…Zechariah’s Silence interrupted and he begins speaking by praising God…Everyone was filled with awe and talking about these things asking “What then is this child going to be?” because the Lord’s hand was with John. ***John grew and became strong in the Spirit and lived in the wilderness until he began his public ministry as John the Prophet in the spirit of Elijah and John the Baptist baptizing as a “preparing the way” for Jesus. 1st Sunday of Advent: Reflections from a Presbyterian Pastor---The Lives of Joseph and Mary Interrupted! II. The timing of Joseph and Mary's interruption. They were engaged to be married. Further Interruptions---1.) The Emperor of Rome, Caesar Augustus, interrupted everyone and issued a decree that a census would be taken of the entire empire and that everyone had to go to their hometown where they were born. For Joseph (and Mary) that meant Bethlehem. 2.) The Birth of the Baby Jesus was at a most inconvenient time, in Bethlehem, where there was no place for the Holy Family to stay let alone have a baby. 3.) The Interruption of The Shepherds of Bethlehem visit, when their lives were interrupted by more angels in the fields, are led to the Stall of Bethlehem to say hello and greet one who was declared to be the Messiah of Israel, Savior of the World and Lord of all. 4.) The Circumcision and Consecration of Jesus including a trip from Bethlehem to Jerusalem…Jesus’ circumcision (8 days after his birth); Consecration to the Lord… (40 days after his birth) 5.) The Interruption and Arrival of Wise Men/Astrologers/Magi from Persia who had been interrupted by an unusual star in the skies which led them to the long journey to Judea to find one they believed was the King of the Jews. When they arrived they came into the house and saw the infant Jesus and Mary and they bowed down and worshiped and offered their very expensive gifts to the Holy Family. 6.) Joseph’s and Mary’s life is interrupted again when Joseph has a dream again and an angel of the Lord warns them that danger was imminent and tells Joseph to get up, to take his wife Mary and newborn Jesus and escape to Egypt (by night and a long journey by any standards) because their child’s life was under a direct death threat by King Herod. 7.) The Holy Family lived as foreigners/exiles in Egypt for 2-3 years until Herod died and they were interrupted again by angel of the Lord and told they could go home…but then as they were getting close to home in Bethlehem, they were interrupted again and told to not go back to Bethlehem but go back to Nazareth. ***Nearly 50 years ago another great President challenged us “TO ASK NOT WHAT YOUR COUNTRY CAN DO FOR YOU. ASK WHAT YOU CAN DO FOR YOUR COUNTRY” which in its own way was an invitation to give thanks…An Invitation to be givers rather than takers. ***THANKSGIVING literally means “to give thanks” so on this night as the People of God we are invited to ask what does it mean to GIVE THANKS TO GOD? WHY? Because That Question forces us to ask what is most important to us. What is most important to us…What we love the most…that will be to whom or for which we will expend a lot of time, energy and resource to serve and for which we will say thanks. Our guides tonight are King David and The Apostle Paul. Thanks-giving is to be offered cheerfully, generously, willingly, integrity and honest intent .(v14,17). *Give God Thanks and Praise because of who He is, all He has done, all He has graced you with. Give God Thanks and Praise by the ways in which You express your gratitude to God. 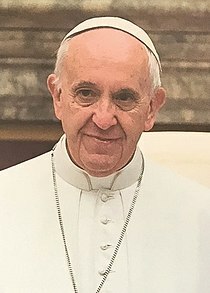 Thus when we hear the words of the Great Early Church Father St Ambrose “No duty is more urgent than that of giving thanks.” we should be gripped by the urgency to Give Thanks in word and deed to the God of all grace and for the grace God has shown us in this life and promised us in eternal life. Indeed nothing is more urgent than giving thanks to God for His indescribable gifts. Today I received the last (I presume) of Eugene Peterson's works entitled "Every Step an Arrival" (title taken from the poet Eugene loved Denise Levertov). It is with joy and sadness that I express that Eugene has taken that next step and has arrived. I am republishing this review I did a while back...I, along with so many others, am so grateful for Eugene Peterson's life and witness. Few have personally impacted and influenced me more as a Christ-follower, a pastor and a theologian (Stuart Briscoe, Ben Patterson, John Stott all whom I have been humbled and honored to have know personally.) Eugene was always teaching and mentoring, whether speaking or listening or waiting...He always told it "slant". I could go on for a long time here, but enjoy this republished post. Let us pray for his wife Jan and the family, and all of us who will miss him most because he meant the most to us. Godspeed Eugene. Eugene Peterson: The Pastor-A Memoir "Every Step an Arrival"
I first met Eugene Peterson when he came to Bethel College and Seminary to speak. I have had the privilege of being in his company on several occasions over the years as he has been one of the primary mentors for me as to what it means to be a faithful pastor in the church of Jesus Christ, often challenging me in ways that make me uncomfortable while more often encouraging me in ways that lead me to being more faithful in my calling as a pastor and as a professor of theology and ministry. Most know him through his translation of the Bible (THE MESSAGE) but for many pastors, Peterson is the one who guides and offers spiritual direction to living with vocational holiness as pastors (see UNDER THE UNPREDICTABLE PLANT). So it is with great delight that I received his long awaited memoir simply entitled THE PASTOR. "I can't imagine now not being a pastor. I was a pastor long before I knew I was a pastor; I just never had a name for it. Once the name arrived, all kinds of things, seemingly random experiences and memories, gradually began to take a form that was congruent with who I was becoming, like finding a glove that fit my hand perfectly---a calling, a fusion of all the pieces of my life, a vocation: Pastor. But it took a while." At the heart of Peterson's memoir is the unfolding of pastoral identity, words that speak profoundly to us today at a time when the vocational identity of pastors reveals "a great deal of confusion, dissatisfaction, disappointment and disillusionment". At least Peterson is honest in stating that there is a massive defection of pastors from pastoral ministry as well as massive dismissals of pastors by congregations which Peterson argues is rooted in the cultural assumptions that all leaders are people who "get things done" and "make things happen". While acknowledging that a pastor most certainly must assume some of these components, the primary understanding of the pastor over the 2000 year history of the church does not speak of a pastor as one who "gets things done" or "makes things happen" but rather is the one "who is placed in the Christian community to pay attention and call attention to what is going on right now between men and women, with one another and with God---this kingdom of God that is primarily local, relentlessly personal and prayerful without ceasing." He then offers his memoir as a way "to give witness to this way of understanding pastor, a way that can't be measured or counted, and often isn't even noticed"...even admitting that "I didn't even notice for a long time." Thus he says that what he wishes to offer through his own story is "to provide dignity to this essentially modest and often obscure wayof life in the kingdom of God...along the way, I want to insist that there is no blueprint on file for becoming a pastor." And succeed he does. His Letter to a Young Pastor (the Afterword) should be read and and reread by every pastor. I offer my highest recommendation to this book for pastors, want-to-be pastors and to every congregation and every congregant. There is something for everyone from one of the great masters of the pastoral office but equally one of the great writers and wordsmiths of our time who really does know how to tell a story, even his own. Thanks Eugene! Almost Four Months Since My Last Post...Lots to Catch Up On...Please come back soon for new posts. Thanks for Reading!!! We had our first grandchild...a grand-daughter named Rylee Magdalena Quinn born Thursday June 28th, 2018 to our daughter and her husband. All doing well. I discovered the identity of my biological father...Harry Leo Orth. Unfortunately, he passed away in 2001 but fortunately I now have discovered that I have 6 younger brothers and sisters and I will be meeting them the first weekend of October in Milwaukee, Wisconsin where I was born and raised. I wrote an article on The Trinity for a Theological Journal entitled Resonance (https://theologicalresonance.com) edited by a former student of mine, Dr. Brant Himes, from Fuller Seminary. It was just published. I just completed teaching a great course on Dietrich Bonhoeffer for Fuller Seminary (online). One of the greatest joys to teach on the life and witness of D Bonhoeffer. I offer this prayer by Karl Barth for this Pentecost...May God hear and answer this prayer..
We ask you now to give us all your Holy Spirit, and to give it continually, that it may awaken, enlighten, encourage, and enable us to dare to take the small and large steps of moving out of the comfort with which we can comfort each other and into hope in you. Turn us away toward you! Do not allow us to hide from you! Do not let us do anything without you! Show us how glorious you are and how glorious it is to trust and obey you! We would ask the same for all people, that the nations and governments may bow to your Word, and that they will be willing to work for justice and peace on earth, that your Word may be understood and taken to heart by all those who are poor, sick, imprisoned, troubled, oppressed, and unbelieving; that through word and deed it may be made known to them; and that it may be perceived by them as the answer to their sighs and cries; that all Christian churches and confessions may learn to recognize it anew and serve it with renewed faithfulness; that its truth may be and remain bright here and now in all of humanity’s error and confusion, until such a time as it shall ultimately enlighten all people and all things. You are glorified, you who make us free in Jesus Christ, your Son, by confessing and standing on this: that our hope is in you. Amen. From Fifty Prayers. In today’s Gospel, we hear, over and over, the word “see”. The disciples rejoiced when they saw the Lord (Jn 20:20). They tell Thomas: “We have seen the Lord” (v. 25). But the Gospel does not describe how they saw him; it does not describe the risen Jesus. It simply mentions one detail: “He showed them his hands and his side” (v. 20). It is as if the Gospel wants to tell us that that is how the disciples recognized Jesus: through his wounds. The same thing happened to Thomas. He too wanted to see “the mark of the nails in his hands” (v. 25), and after seeing, he believed (v. 27). Despite his lack of faith, we should be grateful to Thomas, because he was not content to hear from others that Jesus was alive, or merely to see him in the flesh. He wanted to see inside, to touch with his hand the Lord’s wounds, the signs of his love. The Gospel calls Thomas Didymus (v. 24), meaning the Twin, and in this, he is truly our twin brother. Because for us too, it isn’t enough to know that God exists. A God who is risen but remains distant does not fill our lives; an aloof God does not attract us, however just and holy he may be. No, we too need to “see God”, to touch him with our hands and to know that he is risen, and risen for us. How can we see him? Like the disciples: through his wounds. Gazing upon those wounds, the disciples understood the depth of his love. They understood that he had forgiven them, even though some had denied him and abandoned him. To enter into Jesus’ wounds is to contemplate the boundless love flowing from his heart. This is the way. It is to realize that his heart beats for me, for you, for each one of us. Dear brothers and sisters, we can consider ourselves Christians, call ourselves Christians and speak about the many beautiful values of faith, but, like the disciples, we need to see Jesus by touching his love. Only thus can we go to the heart of the faith and, like the disciples, find peace and joy (cf. vv. 19-20) beyond all doubt. Thomas, after seeing the Lord’s wounds, cried out: “My Lord and my God!” (v. 28). I would like to reflect on the adjective that Thomas repeats: my. It is a possessive adjective. When we think about it, it might seem inappropriate to use it of God. How can God be mine? How can I make the Almighty mine? The truth is, by saying my, we do not profane God, but honor his mercy. Because God wished to “become ours”. As in a love story, we tell him: “You became man for me, you died and rose for me and thus you are not only God; you are my God, you are my life. In you, I have found the love that I was looking for, and much more than I could ever have imagined”. God takes no offense at being “ours” because love demands confidence, mercy demands trust. At the very beginning of the Ten Commandments, God said: “I am the Lord your God” (Ex 20:2), and reaffirmed: “I, the Lord your God am a jealous God” (v. 5). Here we see how God presents himself as a jealous lover who calls himself your God. From the depths of Thomas’s heart comes the reply: “My Lord and my God!” As today we enter, through Christ’s wounds, into the mystery of God, we come to realize that mercy is not simply one of his qualities among others, but the very beating of his heart. Then, like Thomas, we no longer live as disciples, uncertain, devout but wavering. We too fall in love with the Lord! We must not be afraid of these words: to fall in love with the Lord. How can we savor this love? How can we touch today with our hand the mercy of Jesus? Again, the Gospel offers a clue, when it stresses that the very evening of Easter (cf. v. 19), soon after rising from the dead, Jesus begins by granting the Spirit for the forgiveness of sins. To experience love, we need to begin there: to let ourselves be forgiven. To let ourselves be forgiven. I ask myself, and each one of you: do I allow myself to be forgiven? To experience that love, we need to begin there. Do I allow myself to be forgiven? “But, Father, going to confession may seem difficult…”. Before God we are tempted to do what the disciples did in the Gospel: to barricade ourselves behind closed doors. They did it out of fear, yet we too can be afraid, ashamed to open our hearts and confess our sins. May the Lord grant us the grace to understand shame, to see it not as a closed door, but as the first step towards an encounter. When we feel ashamed, we should be grateful: this means that we do not accept evil, and that is good. Shame is a secret invitation of the soul that needs the Lord to overcome evil. The tragedy is when we are no longer ashamed of anything. Let us not be afraid to experience shame! Let us pass from shame to forgiveness! Do not be afraid to be ashamed! Do not be afraid. But there is still one door that remains closed before the Lord’s forgiveness, the door of resignation. Resignation is always a closed door. The disciples experienced it at Easter when they recognized with disappointment how everything appeared to go back to what it had been before. They were still in Jerusalem, disheartened; the “Jesus chapter” of their lives seemed finished, and after having spent so much time with him, nothing had changed, they were resigned. We too might think: “I’ve been a Christian for all this time, but nothing has changed in me; I keep committing the same sins”. Then, in discouragement, we give up on mercy. But the Lord challenges us: “Don’t you believe that my mercy is greater than your misery? Are you a backslider? Then be a backslider in asking for mercy, and we will see who comes out on top”. In any event, – and anyone who is familiar with the sacrament of Reconciliation knows this – it isn’t true that everything remains the way it was. Every time we are forgiven, we are reassured and encouraged, because each time we experience more love, and more embraced by the Father. And when we fall again, precisely because we are loved, we experience even greater sorrow – a beneficial sorrow that slowly detaches us from sin. Then we discover that the power of life is to receive God’s forgiveness and to go forward from forgiveness to forgiveness. This is how life goes: from shame to shame, from forgiveness to forgiveness. This is the Christian life. After the shame and resignation, there is another closed door. Sometimes it is even ironclad: our sin, the same sin. When I commit a grave sin, if I, in all honesty, do not want to forgive myself, why should God forgive me? This door, however, is only closed on one side, our own; but for God, no door is ever completely closed. As the Gospel tells us, he loves to enter precisely, as we heard, “through closed doors”, when every entrance seems barred. There God works his wonders. He never chooses to abandon us; we are the ones who keep him out. But when we make our confession, something unheard-of happens: we discover that the very sin that kept us apart from the Lord becomes the place where we encounter him. There the God who is wounded by love comes to meet our wounds. He makes our wretched wounds like his own glorious wounds. There is a transformation: my wretched wounds resemble his glorious wounds. Because he is mercy and works wonders in our wretchedness. Let us today, like Thomas, implore the grace to acknowledge our God: to find in his forgiveness our joy, and to find in his mercy our hope. 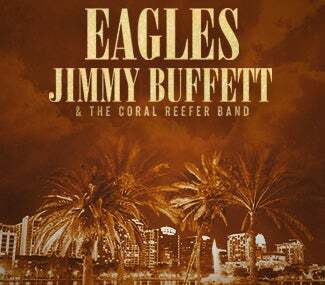 A Review of The Eagles and Jimmy Buffett & The Coral Reefer Band in Orlando, Florida: "You Can Still Check Out Anytime, But You Can Never Leave"
I wish they would have done "The Long Run" and I really missed "Hole in The World" that they wrote and recorded shortly after 9/11. The lyrics are below. As meaningful now as it was over 15 years ago. Brene Brown: Dare to Lead: Brave Work. Tough Conversations. Whole Hearts.